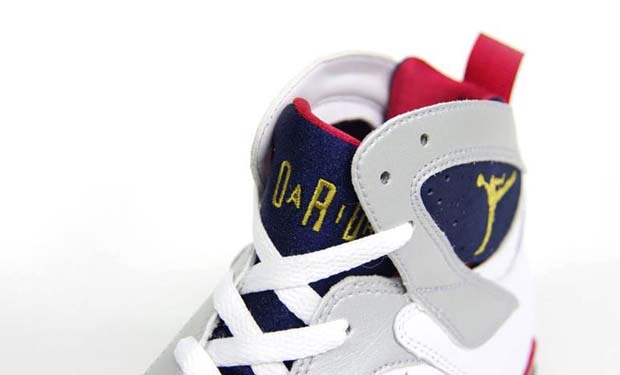 It’s been 20 years since the USA Olympic basketball “Dream Team” participated in the 1992 Barcelona Olympic games, with a steady rollout of shoes commemorating that special team and their achievements. 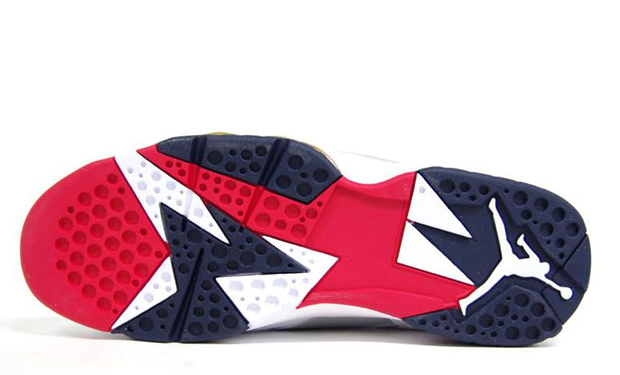 Next up, paying tribute to the historic ’92 Dream Team once again, its the reissue of the Air Jordan VII ‘Olympic’. This is the second time in three years that this classic has been reissued, with a 2010 reissue that saw slight changes because of the participation in the ‘For The Love Of The Game’ pack. This release goes back to the original make-up, which doesn’t have the FTLOFTG logo on the heel. Although this release goes back to the original, you would probably be better off sticking to the 2010 reissue or trying to get hold of a pair of the 2004’s, because these just don’t cut it. Similar quality to the Orion VIIs, the poor quality leather (no softness here) is back along with dull Olympic colour tones, a strange tone of gold stitching compared to previous releases, and the hype killer, the exchange of the metal lace aglets for plastic. Yeah, plastic. If attention to detail and quality materials are not a care of yours, then you’re going to be satisfied with this release. You could just repeat “MJ played in these in the ’92 Olympics” and/or “they might not get retro’d for another 4-5 years” to yourself all day to help sway a decision. 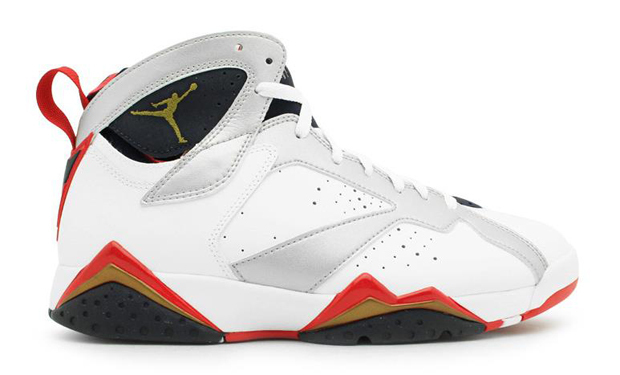 As for the rest of us, Jordan Brand need to give us a break somewhere along the line when it comes to the reissues. JB was always about high end athletic footwear with special attention to the finest materials and although you will find that in their modern output, the recent retros of these classics have been a serious blow to any anticipation of future retros Air Jordan fans have savoured. There seems to be a theme with these kind of releases, a decline in material quality and an increase in price. These come in at around £120-£130 a pair, which is pretty excessive. Available from End and all other Air Jordan stockists, this Friday June 20th at midnight.